The Human Resources Department of MASA International is interested in receiving your CV. We are always seeking qualified people for positions in our various departments. These include Sales, Marketing, Products, After Sales and Accounts. In Sales, as a Property Advisor, you will be responsible for taking care of our clients visiting Spain. 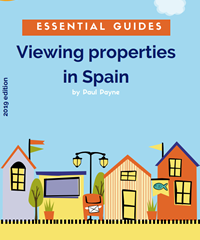 The role includes showing areas, properties and the Spanish life style. Some sales experience is required, you will also receive training. In other departments, the tasks vary, for example customer service, property control, accounting and coordinating of marketing activities. We are also seeking Agents or Local Area Consultants in several countries. As a Local Area Consultant you will represent us in Austria, Belgium, Denmark, Finland, France, Germany, Holland, Iceland, Ireland, Italy, Norway, Russia, South Africa, Spain, Sweden, Switzerland and United Kingdom. The role of a Local Area Consultant is to promote our services in an assigned area and country. This includes one of the most important parts in our organization, client service. You will represent us locally and deal directly with potential clients. The staff in our head office in each country and your colleagues in Spain will be there to support you. You will also receive ongoing training. Since we are working with many different nationalities, knowledge of foreign languages is important. To apply for a position in Spain you need to be living in the area.